Disfrute de la maravillosa vista al mar y viva la experiencia que siempre soñó. Donde usted podrá encontrar una gran diversidad de platillos de la cocina del suroeste de Estados Unidos. Nuestro ambiente y elegancia lo harán vivir una total experiencia culinaria. Elevar and entire staff where amazing!!. Carrying my wife and daughter's plates back from the buffet on every trip. Really top notch service and Mexican buffet had so many choices. Great night. Mucho Gracias!!! Friday Mexican buffet was great! 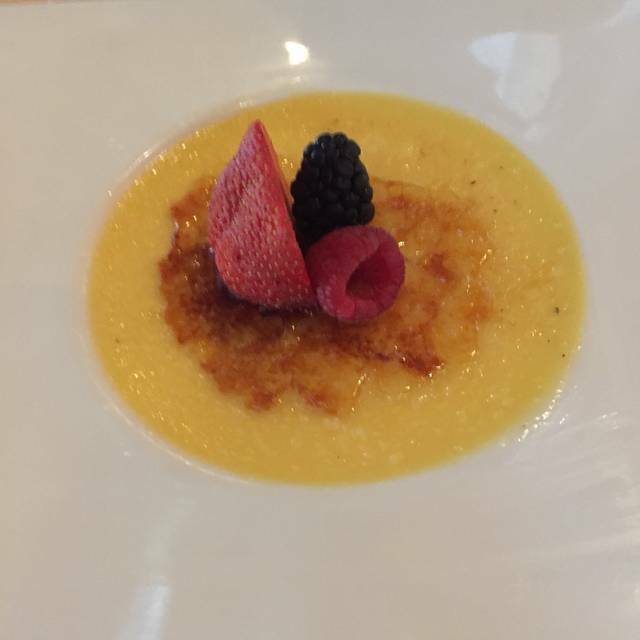 I can’t say enough good things about my dining experience at Sedona Grill. The menu is inventive and representative of the local flavors. Ricardo was our server and his attentiveness and demeanor through all the courses was exemplary for anyone in the hospitality industry. I ordered a mezcal flight and the manager Adan came out personally to ask my opinion and present a wonderful history of its development and how it tied into Mexican culture/history. What a great cultural lesson to enjoy with my excellent meal! The ambience by the outdoor water feature is absolutely beautiful. It got a little windy and cooler as the evening progressed and the servers brought out warm towels for anyone who needed them. We had a scrumptious meal (one of many on our wonderful trip), stuffed ourselves to the gills and still ended up paying less than at some other high end dining joints in the area. I would highly recommend trying the Sedona Grill for dinner. They have a massive wine list and a phonebook’s worth of tequilas/mezcals with source information as well. As an added bonus (not that it’s required by any means although it seems to be a requirement by hotel management), everyone at the JW Marriott speaks excellent English - more so than I found at the Marriott next door or other places. So if you’re not comfortable with Spanish, you’ll have absolutely no problems. Food was outstanding but service was not good. Took long time to getmenus, order drinks and meal, get check. Best meal of our 10 day trip to Cancun. We were staying the adjacent Marriott, it was a short walk over to this hotel. We both ordered drinks that were out of the ordinary and were quite good. Entrees were excellent as were the desserts. We asked if they could make a Cuban coffee and the bartender obliged with a very good version. Overall highly recommended. The menu from open table is only for dinner. The lunch menu given to us consists of quesadillas, tacos and sandwiches. That was not what we were expecting for a special meal. 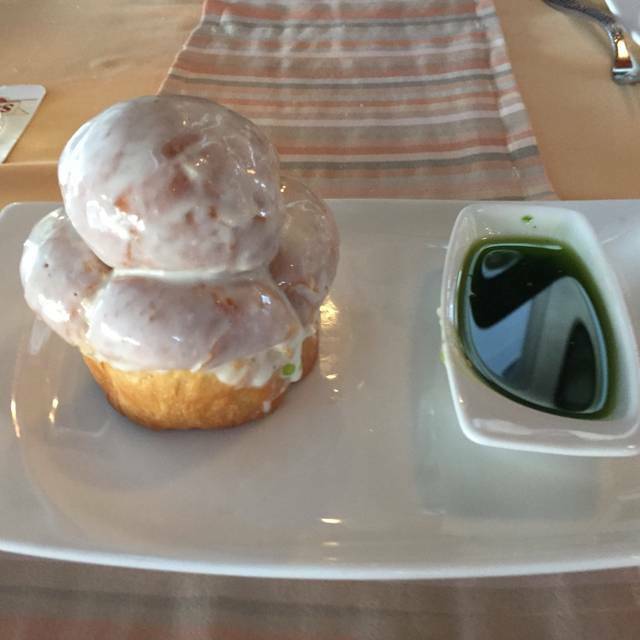 The food resembled one from a cafeteria. We looked at the Menu online and picked this restaurant based on location and price. We didn't know it was a special Christmas buffet. It ended up costing us over $150. Open table should have let us know there was a special event menu and pricing. We didn't know until we received our bill. Fortunately we had some room in our budget, but this could have been problematic. The restaurant is beautiful and had a lovely buffet. But the surprise at the end ruined the experience. Very nice selection of food options. Parpadelle was very tasty. Guacamole bar was very generous. The food was not great. They did not have any vegetarian options. Really nice, moderately priced restaurant right in the J. W. Marriott Hotel, Cancun, MX. Awesome dinner for my Birthday!! GreT food, great location and the service was impeccable. 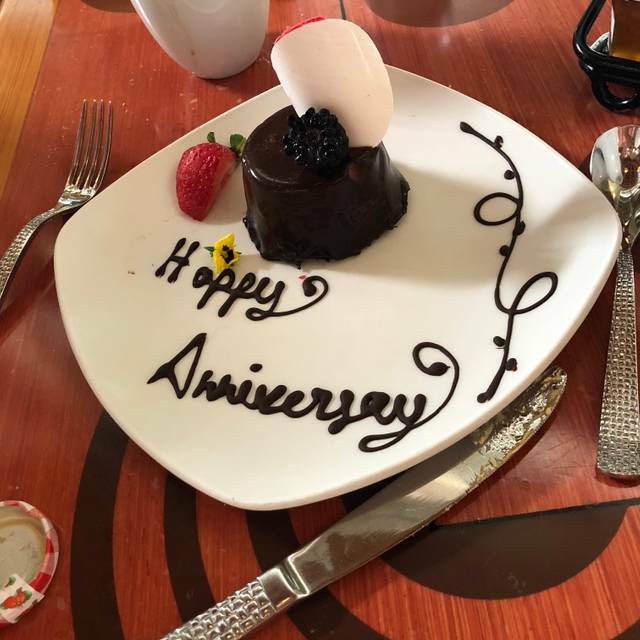 Received a free chocolate mousse for Anniversary. Food was good! Ate at restaurant during a Mexican Fiesta buffet. Food was marginal, but service was very nice. Manager even came to my table and had a genuine conversation with me (instead of asking if everything was ok). Nice touch. Mariachi band was also a nice touch and very good. Would I return? Absolutely! Randomly selected Sedona Grill at Open Table thinking what could go wrong... it is at the JWMarriott. My family of three opted for the Mexican Buffet. Great selection of food, and our favorite, the best Tacos we ever had in Cancun! A choice between Chorizo, Pork and Beef. We tasted them all. Service/Wait Staff are top notch! We felt pampered! To top it all...it was reasonably priced. Fantastic setting, service, and food! I had the duck confit crepes and the pappardelle pasta - both well presented and very delicious! Their breakfast was also wonderful. This place is a must visit, especially if you are staying at either Marriott. Pedro and the others serving us were extremely accommodating! Excellent service from start to finish. Tasty short rib entree, chargrilled Caesar’s salad had a unique peppery dressing. Good option if staying at JW. We enjoyed the buffet which was phenomenal! Highly recommend the ceviche and the barbacoa! Everything was great, until the food was delivered. We never saw the waiters again. No more beer or wine, no questions like, Can I get you anything. I finally had to flag someone down. Terrible service. Black bean soup good but lobster was cold, tough and too salty! We were seated right away, outside dining, Beautiful view. After 15 minutes of sitting I finally had to ask if there was a waiter for our table. Five minutes later someone came over and took our drink order. We never got those, apparently that waiter was sent to another table. Finally after a good 30 minutes or so our wine arrived. We weren’t to thrilled with the buffet so we ordered off the menu. My husband ordered raw oysters and ate 2 said they tasted metallic. I smelled them and they didn’t smell right. The manager and chef came out to say the oysters were fine but did not come from the ocean that’s why they tasted different. Apparently these oysters came from a Lagoon, somewhere unknown. They were very apologetic about the oysters though. My T-Bone Lamb was amazing, only wish there was more, along with the puréed corn. Delicious! This was my second time here during my visit. Food again was excellent. I enjoyed the seafood dish. 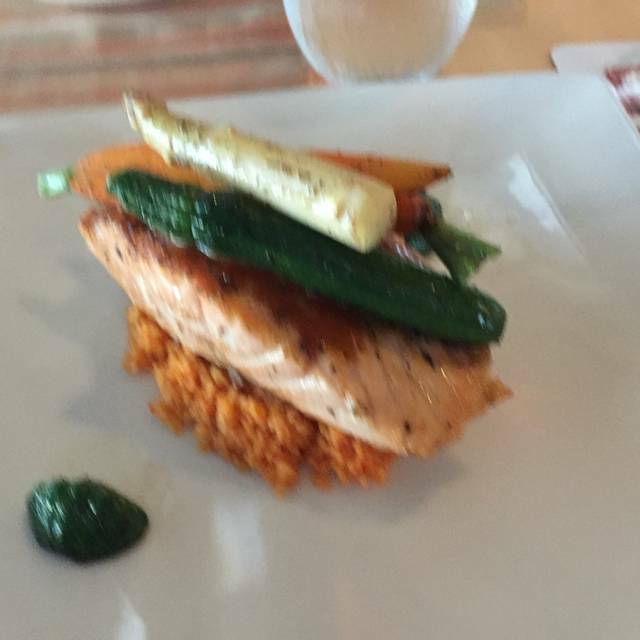 I ordered the salmon and it was paired well. If there is one negative I have is I wish they had a larger wine selection. Outside of that. Service was excellent and the food well prepared. Everything was impeccable, from service to presentation, ambiance and food! We recently dined here and the food, service and atmosphere was excellent. Friendly, fun and delicious. We are a family of 5 and everyone had a wonderful experience. Stopped in to the Sedona Grill for a late lunch. Service was good. Food was average at best. Black bean soup was over puréed and the shrimp tacos were an embarrassment. I would have expected much more from a restaurant at the JW. Will not go back. Tuna Tartare — absolutely delicious! Excellent service and wonderful ambience /beautiful setting! Food was good. Outside seating was very nice. Service was outstanding. Well, we went with a reservation for dinner. Didn’t need one, there 2 parties in the whole restaurant. We were greeted very nicely and escorted to our table and when the waiter arrived we ordered Martinis. 3 Tito’s, two straight up bone dry with olives and the 3rd one dirty. They came with all the same, one full the second 3/4 full and the third one 1/2 empty. I asked him if he spilled the other two on the way.. he laughed and walked away. he also brought them with limes.. We felt like this was the way the evening was going to go so we left. Went to Fred’s and had an amazing meal and service. It really a shame as it’s a beautiful restaurant, but looking back, 2 parties at a prime time dining time should have told the story.. Usually JW Marriotts are top shelf but his one needs some work.. The food , service & ambiance is worth dining here. This restaurant setting is absolutely beautiful and the staff is very friendly. We usually sit outside in the covered area overlooking the pools and the Caribbean and take our time. The food is good, but the setting makes it taste even better. Friday's and Tuesday's features a Mexican buffet with some different Mayan specialties. Pretty god value to sample different foods.